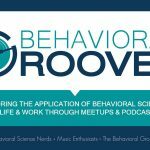 Today I’m Grateful For: Dan Wilson – Behavior Matters! Ok, this might seem like a strange one…Minneapolis musician Dan Wilson (formerly of Trip Shakespeare and Semisonic) has some really great music out there. Not only his music, but the songs he’s written for others (i.e., Dixie Chicks). It is music that I listen to often. I find a connection with his lyrics and they inspire me in a way to work harder at this writing stuff (he is a great lyricist). Anyway, I am on the road today…which means that I’m in a hotel in New Jersey – far away from all the comforts of home. So it is nice to be able to play a little music and feel a connection back home. It eases the discomfort of travel and makes these types of trips a little more bearable. What are you grateful for? Let us know, leave a comment.